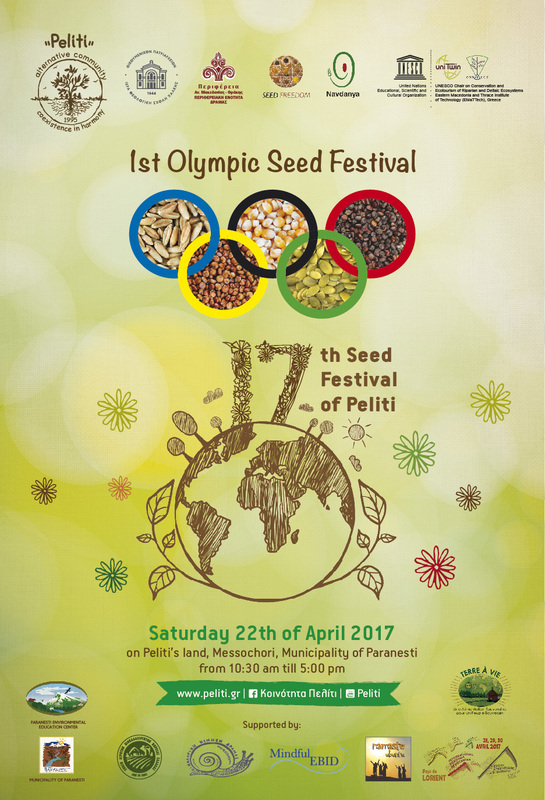 From 20-22 April 2017, Navdanya is joining Peliti at the Olympic Seed Freedom Festival, along with people and organisations from all over the world to join forces to sow the seeds of the future and sow the seeds of another vision for the planet and its inhabitants. After the immensely successful mobilization tour and Caravan for Seed Freedom in May 2014, Navdanya International, Seed Freedom and Peliti organized The First Global Meeting of the Commons in May 2015. The meeting saw the integration of movements working with seed, soil, land as well as refugees into the global meetings of the Commons. Again Navdanya joined Peliti in 2016 for the annual Seed Festival. The core theme of 2016 Festival was on the principles articulated in the People’s Pact for the Protection of the Planet and each other – One Planet One Humanity : our bonds of diversity to make peace with the earth and each other. With our intense commitment, and deep solidarity, we will collectively defend our Seed Freedom, Food Freedom, and Democratic Rights to shape a future of food that protects life on Earth and the well being of all. This year – as in previous years – people and organisations from all over the world will attend the Olympic Seed Freedom Festival, which represented a unique opportunity to build connections and strengthen the movement to shape Food Systems that produce more food, better food, more livelihoods, more meaningful work, more democracy, more freedom. This Greece event is, in turn, part of the global mobilization which was initiated last October during the People’s Assembly and the Monsanto Tribunal in the Hague, co-organised by Navdanya, along with multiple civil society organisations.. Movements across the world are already joining this renewed “Call to Action against the Corporate Takeover of our Food and Health” and events and actions are being organised along the month of April and beyond.